As an introduction to the concept of ensemble playing and how you can rehearse this. As “troubleshooting” exercises to cut straight to improving various aspects of ensemble playing without necessarily focusing on improvisation or the full sign language. As an introduction to Soundpainting, if you want to improvise with a full ensemble. Soundpainting is an international language of more than 1,500 gestures under constant refinement and development. The gestures are signed by the conductor of an ensemble and they tell the ensemble how they should play or improvise. 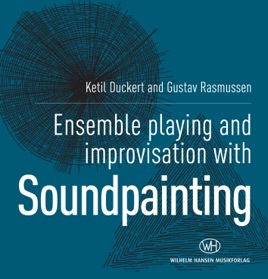 The idea is that the ensemble reply to the soundpainter’s gestures with music.